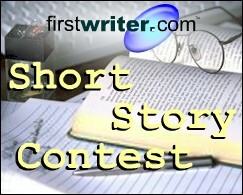 The deadline for firstwriter.com's Fourth International Short Story Contest has been delayed by one month to May 1, 2008 to allow for last minute entries. The winner of the competition will receive a cash prize of £200, or the equivalent in your currency (that's around $400). Not only that, but there will also be ten special commendations awarded. All eleven winners will be published in firstwriter.magazine and receive firstwriter.com vouchers worth $30 / £20 / EUR30. These vouchers cover the cost of creating an annual subscription to firstwriter.com, allowing access to our daily updated databases of over 150 writing competitions, over 790 literary agencies, over 950 book publishers, and over 900 magazines – as well as the option to receive daily alerts by email of new and updated listings which match your interests. A lot of writers just don't get it. They think just because they can type on a computer, they have what it takes to write a story. The phrase "You know, I've always wanted to write a book" creeps into casual conversation so frequently that it's easy to believe that such a feat can be reasonably accomplished without any schooling whatsoever! Of course it isn't true. And, while these tips can be used by anyone interested in writing a story, they are aimed at writers who have taken the time to educate themselves in the process of writing. 1. Use real dialogue. Unbelievable dialogue can be the bane of intermediate writers. It's the easiest way to get stuck, and oftentimes we find ourselves unwilling to use dialogue from the real world in our fictional writing. USE IT. Dialogue can make or break a story, and if the reader doesn't believe it's happening, they won't be able to suspend disbelief in any other aspect. 2. Use "he/she said" as your primary dialogue tag. Don't use tags like "muttered" or "mumbled" or "spoke" or "hissed" or "retorted" or anything else you found in the newest Writer's Digest. Stick with "said" as often as possible, no matter what. If you find that the tags are becoming redundant, try to give the character talking an action so you can cut the tag out without confusing the reader. 3. Do your research. Even in the fictional world, your characters will most likely abide by the laws of nature and thus will interact with the world in a similar fashion. This means knowing exactly what the name of that thing that hangs down in the back of your throat. Pick up a psychology book. Pick up a literary theory book. Study how things work in our world and apply them to your fictional world. 4. Highlight the originality of your work. Sometimes this can be easy to forget, but the fact of the matter is this: somehow, your work stands out. Even if you're writing the same old "hero" tale that's been told a million times before, something about your story is a little different. Highlight that. Make it stand out. Make the reader care. 5. READ. Read the great stuff and read the crap and learn from it. Get a feel for what makes the great stuff great, and what makes the crappy stuff crap. Not only that, you're supporting other writers who will, in turn, support you. There's no point in publishing 100,000 books a year if no one's going to read them. Ken Brosky's first novel, Grendel, is now available through Amazon.com. His short stories can also be found in World Audience and WTF Magazine. Ken also provides editing help to other writers at www.FinalDraftLiterary.com and is the editor-in-chief of Brew City Magazine. Writers need to be creative. They also need to be business savvy, in order to successfully publish, promote and sell their books. But one aspect that's constantly overlooked for writers is Law. Legal matters, for writers. Dozens of books tell you how to market your books, and twice that many show you how to write them. But very few offer succinct, clear legal guidance like this book does. And the wording is in plain English, too. The Law (in Plain English) for Writers is a comprehensive yet easy to understand legal guide for writers. The book's pages cover a large amount of publishing law and writing legalities. The only criticism for this book is that too much space is spent on general law, such as tax deductions and the First Amendement (Freedom of Speech and Information). The book includes plenty of useful information on Royalties, Rights and Contracts. Topics like these are enough for the book to constitute a Writer's Guide. But this isn't meant to be a law guide, or a handbook on tax deductions. Those issues are not pertinent enough to the subject to warrant such vast attention. Indeed, it's the rest of the book that's worth paying most attention to. Throughout The Law (in Plain English) for Writers, the authors discuss topics that are very important to the success and legal survival of writers. Royalties and Advances. Magazine and Book Contracts. Copyright and Permissions. These sections are pertinent to the book's subject. And, to Duboff's and Krages' credit, these topics are covered extensively in easy-to-read, organised chapters. The information is well researched, simply written and customized to fit a writer's needs. Writers will learn new things about writerly freedoms, permissions and copyrights in this book. They'll also learn about getting their advances and royalties paid on time. Finally, readers of this book will learn to negotiate contracts and thrive in the publishing world – both creatively and legally. Rocky Reichman is a writer and Editor and Publisher of the online literary magazine Literary Magic. He is a Reviewer for the Midwest Book Review and MBR and TCM Reviews. He has authored several articles and reviews, and his language columns have appeared in many newsletters and publications. Visit his website at www.LiteraryMagic.com or contact him at editor@literarymagic.com. Editor seeks essays and true stories up to 1,500 words from people in their upper-fifties and sixties; from stories about youth to the way life has changed and shaped your attitudes, to thoughts on the best novel you ever read or best music you ever heard. Accepted writers will be paid a share of the profits. For more information contact Blythe Ayne, PhD, at lovelylife@ps-site.com. Marie O' Neill of the Bloom Literary Agency has announced that she will soon be closing the agency, due to ill health. The agency has already closed to new submissions and will be shut down completely when its outstanding projects have been completed. For over 790 agents, click here. Sao Paulo-based publishing house "Editora Trapézio" is seeking manuscripts in the areas of fiction, nonfiction, adventure, and true stories (no science fiction or art) from new writers or writers with no more than one book published, for potential publication in Brazil. Laurie Harper Markusen of the Sebastian Agency is now offering a business consultancy service for authors not represented by the agency through www.authorbiz.com. The service does not provide assistance with writing, but with the business aspect of being a writer: from issues surrounding contracts to general career advice. For more information, go to www.authorbiz.com. TheEbookSale.com is a new website where authors can upload and sell their eBooks, and receive royalties of 60-70%. The site can be used by unpublished writers, or authors wanting to increase the earning power of books they have already published. For more information, go to TheEbookSale.com.